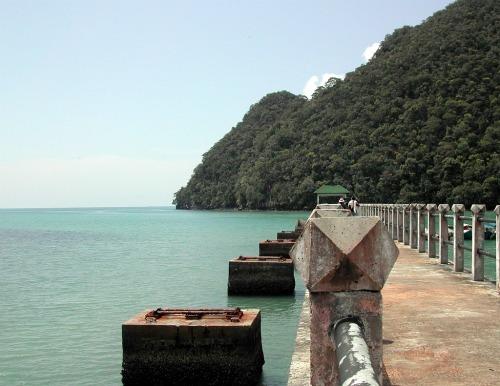 Bunting Island or Pulau Bunting is better known as Pulau Dayang Bunting. 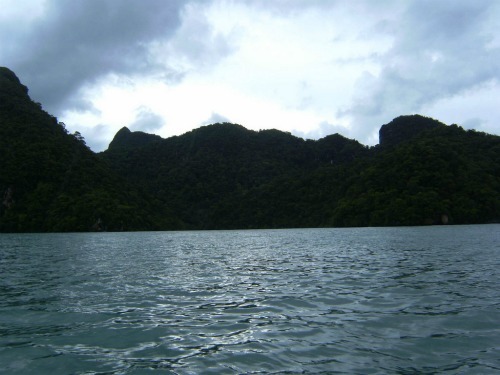 It is the second largest island within the Langkawi archipelago. It is located an estimated distance of 17.6km from Kuah. It is situated just next to Pulau Tuba (Tuba Island). Translating its name to English, it brings the meaning of 'Island of the Pregnant Maiden'. On the island, the panoramic view is so beautiful that it is capable in mesmerizing the tourists and locals.There are uncountable mangrove swamps around the island. There are multiple species of birds and insects to be seen and found on the island. Over 90 species of birds are stated to be seen around including hornbill, woodpecker and kingfisher, just to name a few. 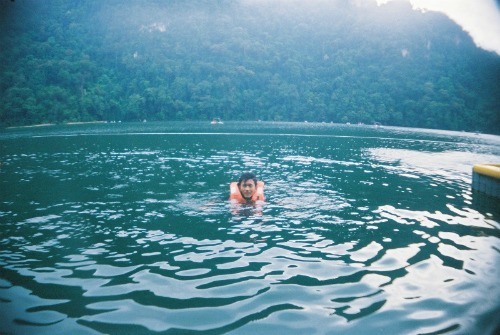 Other than the island itself it is too famous for its lake, with the name of Tasik Dayang Bunting (Lake of the Pregnant Maiden). 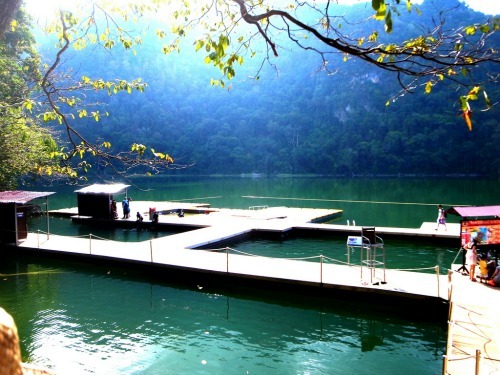 The lake is located right in the centre of the island and this is the main attraction of the whole Bunting Island. The lake is believed that woman who is not capable in conceiving can be then blessed with a child if she drank the water from the lake. This belief is too tried out by some locals and it actually works. You can swim around in the lake and also dip your feet into the mini pond around to feed the catfishes who feed on your dead skin. There is a nearby attraction which is the Pulau Bunting Bridge. The bridge connects Bunting Island to the mainland Kedah. The arch cable bridge's design is what attracts the tourist. Accommodation in Langkawi Island will not be a problem as there are many options ready to be selected. There are many popular hotels and resorts located on the island. The Sheraton Langkawi Resort is one of the renowned 5 stars hotels there. Popular four stars hotels are offered too including Holiday Villa Beach Resort and Langkawi Lagoon Resort. Of course, there are budget hotels and resorts up for all backpackers. You can pick your own hotel or resorts all depending on your own preference. Apart from the beautiful environment and sea in Langkawi, it is also known as the shopping heaven for duty free goods. A wide range of goods can be obtained including wine, liquor, perfume, branded sport shoes and chocolates, just to name a few, all with discounted prices. The place to go for duty free shopping is the Jetty Poing Duty Free Complex. 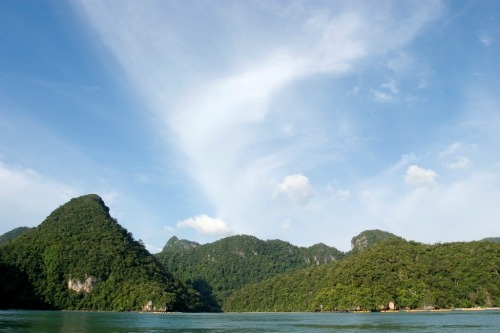 To get to Langkawi, you can either go by air or by ferry. Daily flights are available by Malaysia Airlines (MAS) and Air Asia from the capital of Malaysia, Kuala Lumpur. The ferry operates only four routes from Kuala Kedah, Kuala Perlis, Penang and also Satun, in Thailand. However, it is usually packed with crowds during the ride. 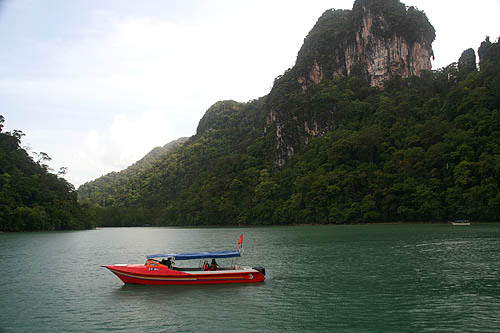 Once you stepped foot in Langkawi, you can hire a boat from one of the many boat operations to get to Bunting Island. The ride will take a short 15minutes.